The staff were so helpful at this painful time and did go that little bit further by ensuring that the ashes were brought to us personally to fulfil our time criteria. Many thanks for all your help and advise. 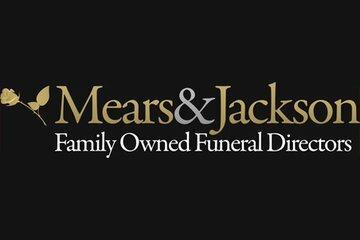 There are not enough words to express the help and supports the staff at Mears and Jackson gave to our family during our difficult time. The staff and services at Mears and Jackson was amazing, the were absolutely friendly and welcoming everytime i visited. They make our experience easier and stress free. Thank you for all tour help and support and would high recommend anyone to use their services. We approached Mears & Jackson after walking away from another funeral directors just hours after my father had died. We were lost and stuck but i can't praise this funeral directors enough. In one of the hardest times in our lives they were more than helpful. There was nothing that was to much and they made us feel comfortable with the awful situation we had to face. They cared for my father and were nothing but professional. From the moment we walked into the Runcorn office to even after collecting my dad's ashes they were caring and friendly. We had no idea what to do and Sylvia the lovely lady we spoke to on the first day was happy to take the time to sit and go through everything step by step so we were not overwhelmed with the situation. All the staff were fantastic and i can not thank them enough for their help. Fabulous group of people who i would highly recommend. Excellent service, very respectful and very helpful. I didn’t really have a great deal to do, they took care of everything and communication was good. The men who delt with actual cremation were amazing. Thoughtful, respectful and always happy to help at what is a very difficult time. I can’t reccomend them highly enough. The staff at Mears & Jackson are superb, at the most difficult time in our lives they gently guided us through the process of what we had to do to give our mum a beautiful and dignified funeral. The family aspect of their business shone through, it made us thankful that we chose the absolute best people to do the most difficult job we had to face. Special thanks to Sophie, Jane and Theresa for your kindness. Found the staff very empathetic, friendly, approachable. Jane in particular was lovely to deal with and we appreciated her guidance, help and support. Whilst we were dealt with with care, understanding and sympathy, I was not filled with confidence that our contact at the funeral director's was fully trained. I had dealt with another funeral director's previously and they were very well-organised, with everything to hand and they knew what I would need. This was not the case here. I had to ask afterwards about a notice for the press, the coffin pre-ordered by my parent was not available until just before the funeral and I was not able to visit my father until the day before the funeral. He had passed two weeks previously. I did not feel supported when completing the order of service despite my please for help. This was a shame as I like to support local businesses but feel I won't be using this one again. Great service, making a difficult time as easy as it could be for the family. Excellent service. All staff very courteous. Chapel of rest was beautiful. No problems at all. If a friend of family loved one passes away I will recommend them to use this family company. Great Service from both Chris and Sophie, both were very helpful at such a difficult time. 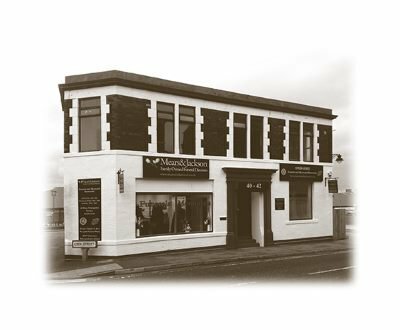 Mears & Jackson Funeral Directors, Runcorn will provide you with a free obituary as part of their service.